Inside Shading will provide a reliable, convenient, and complete shop-at-home service of beautiful custom made blinds and shades for your home or office. Our professionals have over 22 years of experience. We provide a wide range of high quality window treatments with outstanding customer service at affordable prices that match your taste and budget. 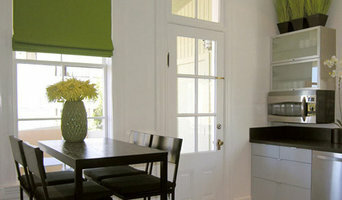 We come out and meet with you to help enhance your décor, filter light, increase privacy, and save money on energy too! Let us help make enhancing your office or living space easy…from start to finish! We offer the highest quality products from Graber, Draper, Inc., Bali, and more. 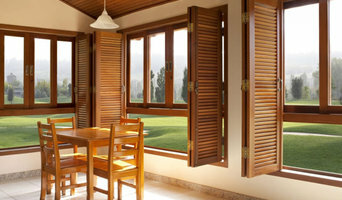 They are respected leaders in the custom made blinds and window shades industry. We also give commercial bids and quotes. LEED sheets are available. We work with you to select the ideal window treatment for every room in your home or office and your satisfaction is guaranteed! Our professional measuring and consultation is absolutely free of charge! The Yardstick has improved Northern California interiors since 1958. During the past half century, window fashions have dramatically evolved as homes and lifestyles have changed. The Yardstick has expanded its ability to handle the sophistication that Silicon Valley homes demand. The Yardstick brings all the newest design options to its customers. Whether your house is contemporary, requiring simple, eloquent motorized blinds, or more traditional necessitating sophisticated custom draperies, The Yardstick can design and install any window coverings. The Yardstick carries blinds from top manufacturers such as Hunter Douglas, Springs Industries, Lafayette, Vasa and more. The depth of the product list ensures that you will find a blind or shutter that will be perfect for your needs. Customers can choose fabrics from companies such as Robert Allen, Kravet, Kravet Couture, Duralee, Rm Coco , Lee Jofa, Ralph Lauren and more. There are fabric selections available for all budgets. Homeowners from Marin to Carmel depend on our outstanding service, knowledge, and reliability. At Interiors and Textiles, it doesn’t cost more to work with an interior designer who will help you coordinate the material types, textures, colors, and construction to create a coordinated, coherent, fashionable look for your home. Plus, we have the largest selection of fine wool carpets, hardwood and resilient flooring, fashionable window coverings, draperies and upholstery, all in one place. So, coordinating the flooring, window coverings, and drapes is easy at our complete interior design center, right here in the Bay Area. SAK Blinds-Shades-Shutters, is a Woman owned and operated business. With over 30 years of combined experience, there is no window that we cannot design a custom window treatment for. We service the San Jose, Sacramento and El Dorado Foothill areas of Northern California. Please explore down below at our vendors, featuring Norman Window Fashions, Hunter Douglas, Insolroll, Custom Drapery and Motorization. Tired of living in a Fishbowl? SAK, provides temporary shades while you wait for your order to arrive! Call today for a free In Home Design Consultation and Estimate. 408 482 8884, or email us at sakinformation@gmail.com. 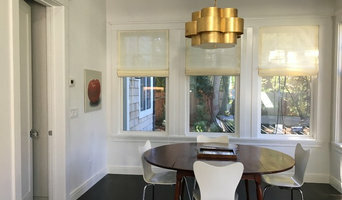 Half Price Drapes is in a business of Ready Made Curtains & Custom Draperies operating in the Bay Area since 2004. Over this time we have built a clientele of over 25,000 extremely satisfied customers from all over the country and overseas. Our clientele ranges from designers in Washington DC to restaurants in the Bay Area to individual home owners all over the nation. What makes us unique is that we weave our own fabric, create our own embroidery patterns, and manufacture our own curtains & drapes. We have a 15,000 sq. ft. workshop where a dedicated staff of seamstresses manufacture quality standardized and custom curtains & drapes. Hence, we can eliminate all mark-ups and provide high-end luxurious customized curtains & drapes at a cost that is unmatched. That is why we are proud to call ourselves Half Price Drapes. We have a team of professional designers that keeps abreast of the latest trends, colors, patterns, and styles to ensure that you have the most current choice of fabrics to select from. Since we weave our own cloth, we are constantly introducing new designs. As a result, we have an extremely high rate of repeat customers who are looking for a change or upgrade. Our beautiful fabric can be tailored in many different Header Styles from pole pockets to inverted pleats and goblets. That's not all, if you have a specific design in mind, let us know and we will customize the fabric to your specifications. We keep a stock of standardized curtains in our workroom which can be shipped within 48 hrs of placing an order. 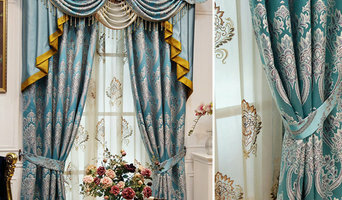 Most of our custom curtains & drapes are shipped to you within 3-4 weeks of ordering. Browse through our site and see the wide array of Silk, Linen, Taffeta Silk and Velvet, Cotton Satin, Exclusive Italian Cotton Silk and Sheer curtains & drapes in breathtaking colors and embroidery. We guarantee that it will be a treat for your eyes. MISSION STATEMENT We are committed to providing high-end luxurious fabric stitched with quality and care to create extravagant drapes at a price that is affordable and matches every customer's budget. Luxury Made Affordable! Smith & Noble is America's leading resource for window treatments. In business since 1987, Smith & Noble has outfitted over 8 million homes. Smith & Noble sells a variety of custom window coverings including wood blinds, natural woven shades, roller shades, shutters, draperies, honeycomb blinds and much more.